Lemon Marketing is the only dedicated leaflet and flyer door to door distribution company which is able to operate and undertake large scale leaflet drops in whole Scotland including the Highlands areas. 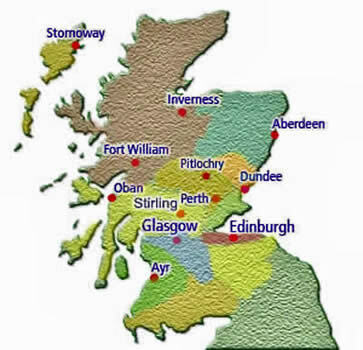 If you are looking for a realiable leaflet distribution services we are able to cover for you Glasgow, Edinburgh, Aberdeen, Dundee, Perth and all other manjor cities in Scotland. In comparison with our competitors we don't outsource our distributions to other teams but we have our own teams with team leaders which are able to undertake a drop with a minimum advance notice. If you are looking for innovative shared or solus leaflet or flyer door to door distribution services in Scotland Lemon Marketing is the obvious choice for your company. During the years we have perfected our distribution services and implemented technology systems which make our and our customers life's much more easy. Just before the leaflet drop we will email or text you our team position and starting times, during the leaflet drops we will collect data from the gps trackers and when we finish with the leaflet drops we will send you the whole information along with distribution and non-coverage distribution reports. All this combined with our local knowledge and full time supervisors will give you nothing else but piece of mind.